Isobel Campbell seems to hate Toronto. In 1999, her then-band Belle & Sebastian were scheduled to play a show here, but she got sick, and the band had to cancel what was to be their first Toronto show. The next time they came around to Toronto, they played at one of the city’s worst venues, The Kool Haus. She didn’t seem to be too happy up on stage, and lo and behold, she left the band the next day. Since then Belle & Sebastian have been without a cellist1 and they seem happy about it. 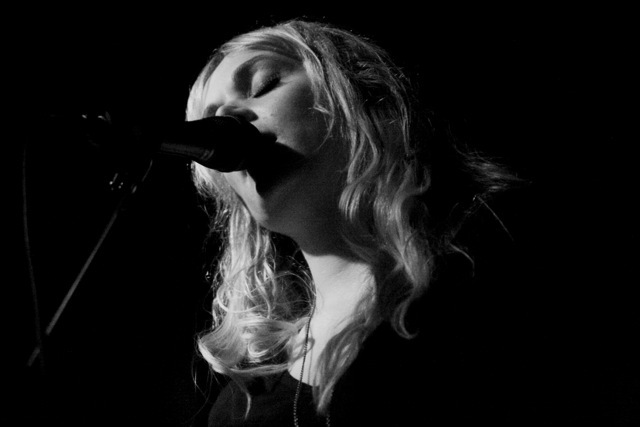 A few years later, Campbell was on tour supporting her new record, an album she made with Mark Lanegan called The Ballad of Broken Seas.She was starting this tour in Toronto at a venue called The Revival. I showed up at the venue, only to find out that the show had been cancelled. She was sick. Now after two Gentle Waves albums, two solo records, and three albums with Mark Lanegan, she’s come to Toronto. So here I was, en route to Criminal Records, with my old 1999 Gentle Waves 7″ tucked into my jacket pocket, half in doubt that she’d arrive. The time clicked on, as the small crowd assembled, waiting for her to arrive, waiting for her to join the rest of her band. We were told that she’d be there just shortly after 6, I doubted. Suddenly, the doors swung open, and in walked Isobel Campbell. She made her triumphant return to Toronto, it actually happened. She played about five songs. They were really good. Then she signed by 7″, and I departed for home, where I left my ticket. Seeing as I had some time. I took some time to write this, but now, alas, I must leave for Lee’s Palace, where she will be joined by Mark Lanegan. Opening was Willy Mason, who sings on the new Isobel Campbell & Mark Lanegan album, Hawk. His “down home” country voice is absolutely gorgeous, and he sets out some beautiful songs. It was quite a great opening act. Then came out Campbell and Lanegan performing the soft and beautiful “We Die And See Beauty Reign” from their latest collaboration from which the immediately transitioned into the rocker “You Won’t Let Me Down Again” which I think was probably the cue to hit the stage lights, but they didn’t go on, and they stayed off the entire night. I was confused. The set list was almost exclusively songs from the three Campbell & Lanegan albums, which appeased the many Mark Lanegan fans in the audience. I was slightly confused by that notion, as why would a Mark Lanegan fan be at an Isobel Campbell show. I always saw Lanegan as simply a hired hand to provide vocals, seeing as Campbell is the songwriter. It seems however, that Lanegan fans are not only fond of his beautiful deep voice, but as well fond of high quality Scottish songwriting. That’s one of the most important points of this. 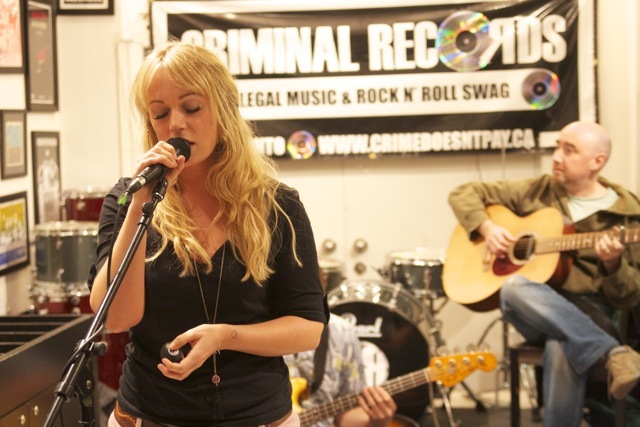 Isobel Campbell has grown as a songwriter. To listen from her early Gentle Waves albums to her current output, you’ll certainly see a steady progression, and while the twee, beautiful, soft songs of those early records have a warm place in my heart, her songwriting on Hawk is by far better. Excellent shots! Love the heart detail.